James A. Reed is a staple for Kansas City fisherman. The well-maintained lakes and ponds provide a variety of quality fishing experiences for all ages. For local fisherman Greg Burns, James A. Reed recently provided an added source of entertainment and education during a beginner’s fly and jig tying class hosted on-site at the Regional Office. The excitement in his voice was apparent as he described the seminar that taught him the skills to handcraft his own jigs. A small attendance of a dozen students allowed each participant to learn to tie quickly and with little trouble. “It felt good to tie something that looked like it would work”, he recounted. “The instructors were eager to share their knowledge”. An assortment of jigs tied by Greg Burns during the fly-tying seminar at James A. Reed Regional Office. Within a few days of the class hosted on March 20th, he was already finding success during his first field tests in the wildlife area’s small lakes. “Dancing with joy” were the words he used describing the two 14-inch trout he pulled out of Coot Lake on his handmade olive jig. The fly and jig tying seminar is not just for beginners, though. A number of people were already experienced tying their own flies and jigs before attending the class. They simply joined to improve their knowledge and skills. “The class is an informative tool for all skill levels”, Burns said, recalling the wisdom shared by the volunteer instructors and experienced students. 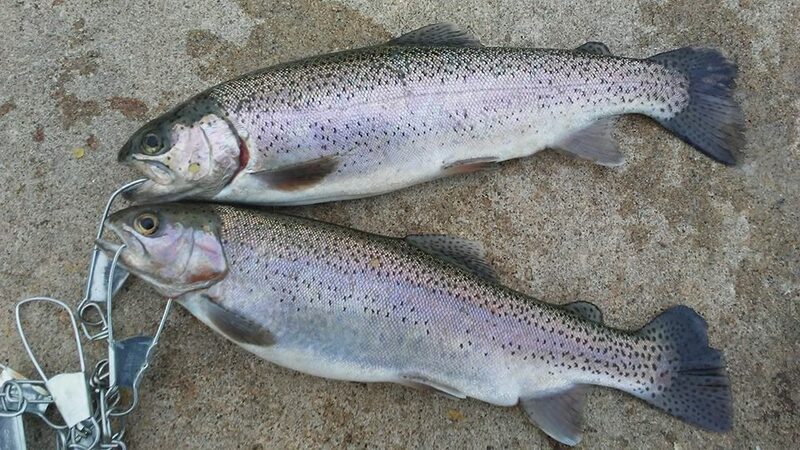 Join the Lee’s Summit Area Fishing Group on Facebook or visit the Kansas City section at https://mdc.mo.gov/regions . Payden Hays is an expert craftsman by trade and an aspiring angler on the side, sharing everything he learns along the way. Fishing, Fly Tying, James A. Reed, Lee's Summit, Payden Hays. Bookmark.